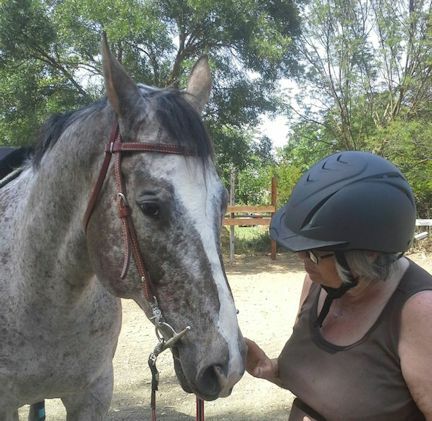 Mom having a moment with her special Appaloosa, Coffee. For some reason, while we worked with our two spotted boys today, I began to think about all the Appaloosas that I’ve known. From the horse I took my first riding lessons on (a tubby leopard who terrified me with my first runaway) to the cranky old fellow I rode this morning, Appaloosas have been a regular fixture in my life for more than forty years. Although long seen by many as just a color, and lately reduced to that by all the heavy out-crossings to Quarter Horses and other breeds, the Appaloosas yet has its own unique qualities that go beyond color. Ask around, and you will find that those who have worked with Appaloosas either love them or hate them. It’s a funny thing, but lately many trainers of both dogs and horses deny the idea of breed characteristics when it comes to personality. It is true that each individual should be treated as such – each with their own unique personality traits. But to deny that man-made breeds have specific tendencies is to do them and their people a disservice. If you want a calm, reliable, steady trail horse, does it really make sense to look at a breed that has been developed over centuries to have speed and a desire to run? 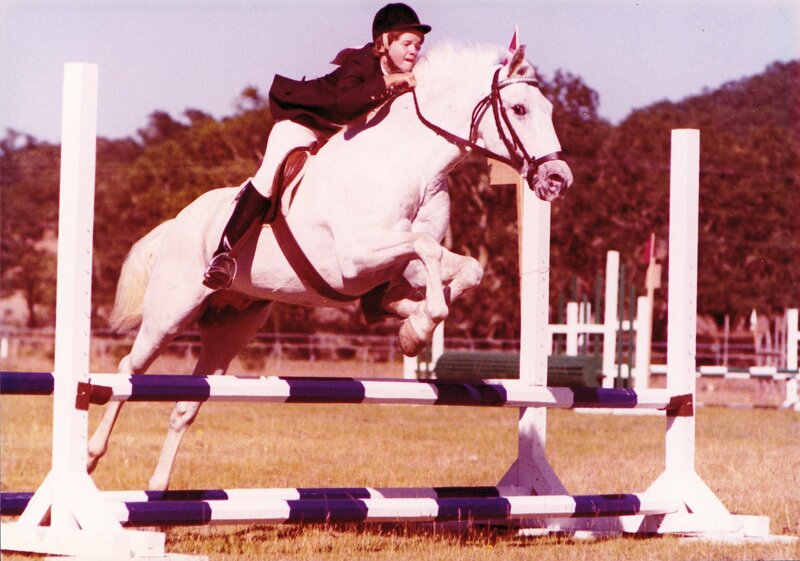 Of course, there have been Thoroughbreds who make great trail horses, and kudos if you find one! But the fact is that the majority have characteristics more suited to speed and competition than to a lazy Sunday stroll. So, for fun, I’m going to indulge in a bit of breed stereotyping of Appaloosas today. Of course, this is just one woman’s opinion – but I have found that most other Appaloosa riders and trainers agree on these points. Appys are smart! IQ tests for horses have largely failed, until recently, because they were not designed for their unique needs and motivations. But scientists are beginning to get it right, and I think some day you will find that Appaloosas may be the Border Collies of the horse world. Of the many breeds I’ve worked with, the Appys have all been among the smartest horses I’ve known. This does not always work in your favor! Not that most of them actively try to misbehave, but they will pick up on any inconsistencies or holes in your riding and be the first to use it in their own favor. Ben knew that I dropped the whip just before entering the arena (they were not allowed in Dressage, in those days) and his first step through the gate was always at half the speed of the step before. I once rode a schooling test and kept the whip – he went perfectly! So, I had to ride another with the pretense of dropping the whip … feet immediately started dragging. Was he ever surprised when he received a tap! Never pick a fight with an Appy! The main quality that most people will tell you about Appys is that they are stubborn. They actually aren’t very stubborn, but if you push them unfairly they will fight like no horse I’ve met, save for Mustangs. Using Ben as my example again, let me illustrate with two different approaches to the same problem. Ben was not light off the leg or in the mouth when I got him. This was always the first thing clinicians tackled, with very mixed results. Gwen Stockebrand, then on the US Dressage team, tackled it with a hand-over-hand attack with a Dressage whip. For twenty five minutes she beat him, leaving him covered in sweat and whelts – front and back. For each strike, she merely got another buck. It ended only because my clinic session was over, with no ground gained and a teenager left crying over the harm to her beloved horse. A year or two later, in a lesson with the man who would become my regular instructor, and he got on Ben to tackle the “go” button. This time, the approach when leg was ignored was a light but persistent “tap, tap, tap” until Ben finally got annoyed enough to move. Irritated? Sure, because he didn’t like to work to hard if there weren’t fences involved. But the annoying tap was not an attack, just an irritant – and it wasn’t long before he’d made the connection that moving forward avoided the annoyance. Most horses would have responded to Gwen’s attack by bolting – flight first! She would have “won” and it would have ended there. 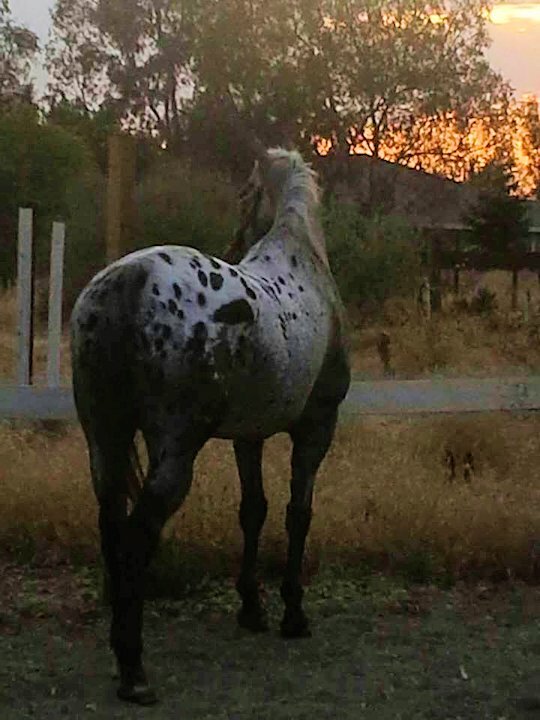 But not an Appaloosa – attack and they will fight back! Don’t get in their way. 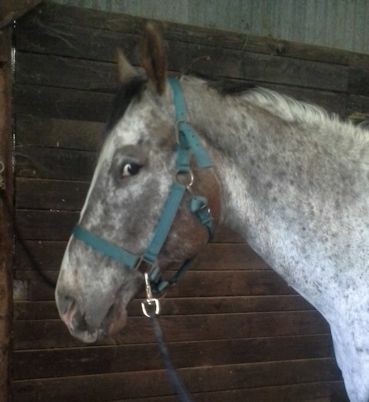 Once an Appaloosa knows its job, they expect you to get out of their way and let them do it. Wicki was an old hand at jumping, and three riders (myself among them) learned the hard way that he was not to be interfered with. In my first cross-country course, I tried the stride-by-stride management my instructor drilled into me. The first half was a struggle the whole way. About halfway through, Wicki was done with that nonsense and he literally took over! The only control he allowed me, for the rest of the course, was to indicate direction. Any other request was completely ignored and he regulated his own speed and found his own spots. I soon learned that if I limited my requests to only important matters, and left the rest to him, things went much better! In the twenty eight years that Ben was with me, he only ever acted up for four riders who believed their skills were greater than they were, and tried to tell him his job – in one case, running into a corner, stopping and refusing to go anywhere for that rider. I’ve had other horses express irritation with rider interference, but none with as firm a “hand” as an Appy! Appaloosas have opinions … and freely express them! In my time with horses, we have gone from people believing that animals have no thoughts, to training methods that attribute theories like a horse’ drive for “dominance”, to the latest trend that horses never act with intent but only react to the moment. While I agree that horses do not plot against us, aren’t out to ruin your day and certainly aren’t after dominance – to assume they cannot have thoughts that lead to actions sells horses short, in my opinion. Some claim they do not have the brain parts to operate with intent – but we learn each year that parts of the brain we thought we understood have more roles in behavior than realized. Maybe it’s because I have worked with so many Appaloosas, but I believe that horses can have intent … and opinions! Coffee and Nash are stalled across from the cross-ties. They know, full well, the difference between turning toward the front of the barn (turnouts!) and turning toward the cross-ties (work!). On days, like today, when work comes before turnout, they express their opinions quite freely! Even the slightest inclination of your body toward the cross-ties is enough to stop either gelding at their door. They will stand and stare you down as you tug fruitlessly at the lead rope. Coffee will actually turn his head in the direction of the barn door, and roll his eyes back at you, in a clear indication of the direction you should be going! This will last until you give in and head to the door … only to turn around for the cross-ties! Again, you could label this as stubbornness … I see it as very clear communication of an opinion about what should happen. Unfortunately, we all have opinions that may not sway the other person – and we all have to work for a living. Appaloosas are kind. A lot of horses are easy to get along with; but it is a rarer thing to find horses that actively seek to do no harm. As a breed, Appaloosas have been the kindest, most person-oriented horses I have met. They aren’t always the cuddliest individuals, but I have watched so many of them go out of their way to avoid harming the people around them. Wicki and Ben seemed to take it personally when they lost a rider, both coming back to check on the person on the ground (usually me, but not always). 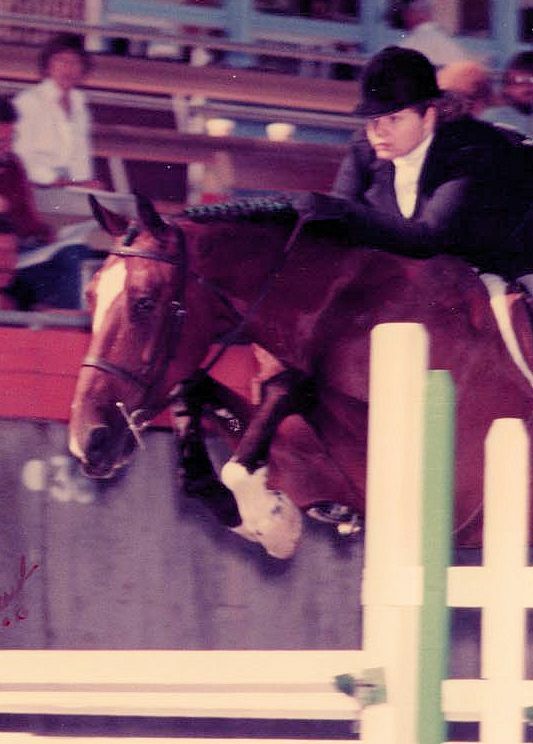 I watched Ben try his darnedest not to lose my mother, when the stirrup leather came off over a jump – he kept moving to get under her falling form, where most horses would have instinctively moved away. When he was just four, and only with me for a few months, we crashed a fence where I ended up under his belly and he with jump poles tangled in his legs. That young horse did not move a muscle! He stood, scared and shaking, looking back at my prone form and waiting until I could get out of the way before taking a single step. Not the last time I would owe him my life! Coffee showing off those expressive Appy eyes … any guesses what he’s thinking? Appaloosas need motivation … keep it interesting! Appaloosas have a reputation for being lazy. Not long ago I read a sale ad for an Appaloosa that bragged that his high amount of Quarter Horse breeding made him willing to work “unlike other Appaloosas.” This is a common belief about Appys. In my experience, Appaloosas are very far from lazy! However, they are the first to get bored with drilling or work that they don’t find interesting, challenging and/or fun. Give an Appy a job he loves, and he will give it his all! Wicki was a cross-country machine! He could nearly figure out the course for himself – and I never found a fence that made him think twice. On roads and tracks (for those oldies who remember that phase of cross-country), his extended trot was amazing! But I was lucky to get even a decent working trot in the Dressage arena … forget lengthening! On the other hand, Ben would have nothing to do with most cross-country courses – but would jump the moon if it was in the arena! If your Appy doesn’t want to work for you, maybe it’s time to find him another job. Some of these characteristics are not unique to Appaloosas – Noble is giving the spotted ones a run for their money on the IQ front! But Appys, as a group, are the most independent thinkers I have met in the horse world. For those of us who love the challenge and the “dialog” it requires, they are an incomparable breed – but they are not to everyone’s taste. For my part, I hope to always see spots before my eyes! This entry was posted in Just For Fun, My Journey and tagged Appaloosas, Ben, Coffee, colorful personalities, horse breeds, kind, Nash, smart, spots, Wicki. Bookmark the permalink. Oh Bonnie, I would have loved your Kadoka Storm! I had my Ben for 28 years … they definitely get under your skin! oh! Somebody who can finally speak for the ‘old time’ Apps that some of us are trying so hard to preserve! Intelligence, intent, interest… That ‘s them! We use Foundation- bred Apps in our ‘ponyride’ business… Much prefer them to real ponies! Lol! The stories I could tell! Thank you!